We are more at home with illusion than we are with the reality before us. It seems quite natural for us to walk away from facts when they don’t support our illusions — and our emotional attachments to them. Our minds and our eyes always fool us. We even reject the notion that they do — a catch 22 if there ever was one. Consider this: Why does the moon look so much bigger when it is near the horizon? Most scientists agree that the reason the moon looks bigger is purely in our minds. Our mind interprets the things we see in interesting ways. 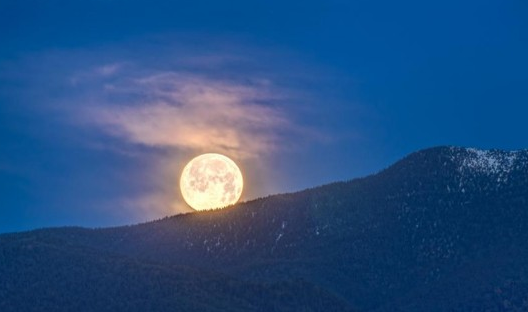 One theory about the moon illusion says that when the moon is near the horizon we perceive it to be farther away from us than when it is high in the sky. But since the moon is actually the same size, our minds make it look bigger when it is near the horizon to compensate for the increased distance. Following American Violence and Education I was asked to take “another ride” on this subject and, following a workshop I was in this summer where, allegedly (it’s on film so I can’t deny it), I said that “we are all educators,” meaning those in and out of education proper, and that this makes us all somehow “responsible,” so, along these lines, I am taking another turn with The Cultivation of Hatred: A Brief History of Violence in America. I am testing on Medium first since this is a good, well, “medium” to see what kinds of legs this approach has. For those of you that measure these things, a la Medium, the 2444 word piece will take you 11 minutes to read. There are pictures and links to videos. In “The Dawn of Man” sequence of 2001: A Space Odyssey, Stanley Kubrick introduces us to the usage of tools as “man” becomes an active element and gains the power of action over nature — tools make “man” an agent of change. Paleolithic being discovers that the tool can protect and conquer; it can be used to advance one’s cause and eliminate all threat, kill it off — at least until an opponent engineers a more dastardly tool as we see in another Kubrick film, Dr. Strangelove, and the making of the Doomsday Machine, and in Dr. Seuss’ The Butter Battle Book — both narratives about mutually assured destruction. So it begins, “man’s” intimate relationship with violence. It commences quite rationally: to protect and to serve one’s needs and the needs of one’s community. Can’t be more fundamental than that, more reasonable. Read More … and thank you!